Get your favorite utensils out of the drawer and up where you can easily see and reach them.. 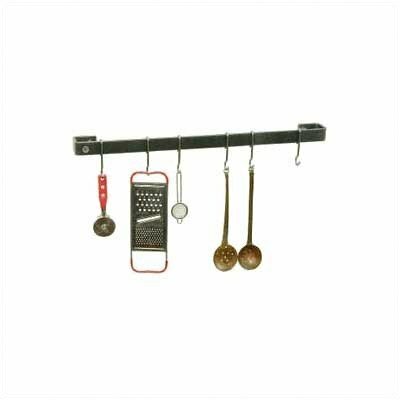 Install one of these versatile bars alone or with your cookware rack for a perfect matching finish. Hammered steel available in 6 lengths. The 42-inch utensil bar comes with 12 straight pot hooks, plus drywall toggles.